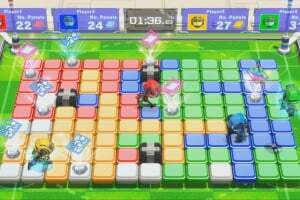 Dominate the board in Flip Wars, a competitive new party game for up to four players, available exclusively from Nintendo eShop on Nintendo Switch. 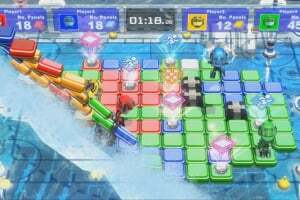 Compete to claim the most coloured panels and stop your opponents from gaining ground in this frantic free-for-all! Leap into the air and Hip Drop onto the board below to flip adjacent panels around where you land and change them to your colour. 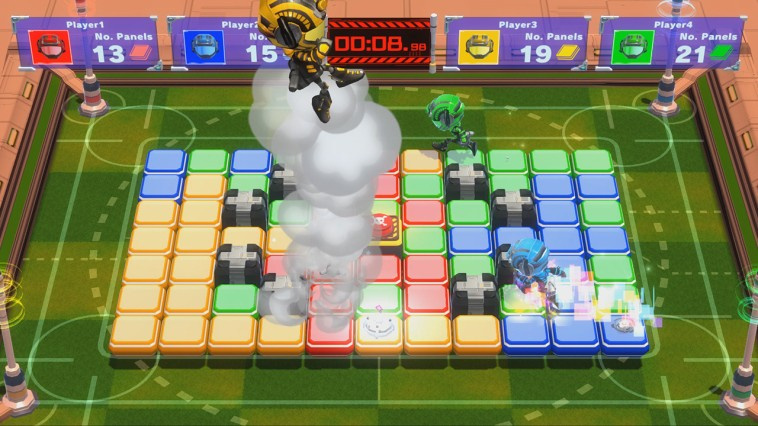 Knock Out your opponent by flipping any panels they’re standing on, and watch them fly off the board – be careful where you stand, though, as they can send you flying, too! Prevent your rivals from reclaiming nearby panels and catch them off guard by adjusting your landing zone in mid-air, or by performing a Hip Drop feint. Extend your panel-flipping power with a variety of items that can boost your movement speed, make you temporarily invulnerable, and even change the direction of the panels so they flip diagonally. If you get knocked out by an opponent, you’ll lose all the items you picked up and their stat-boosting benefits, so keep an eye on your surroundings. 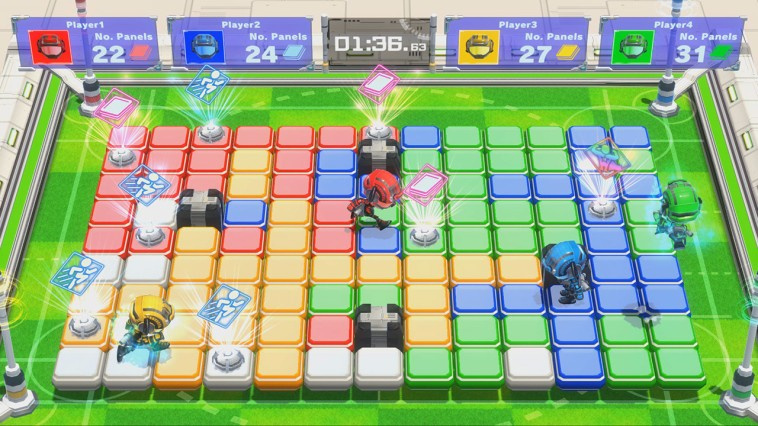 Outrun your opponent to an area of the board you want to claim, or a nearby item, by staying on panels of your colour. If you step on any panels that have been flipped by another player, your movement speed will drastically reduce! Turn the battle in your favour by taking advantage of your surroundings! Each stage provides a variety of unique challenges to overcome and introduces new strategic opportunities. 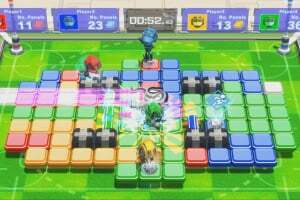 Some stages contain game-changing elements like the Beam Cannon, which can flip entire lanes of panels when activated, while others contain environmental hazards such as a paralysing wave, which can stun you momentarily and cause all sorts of havoc! 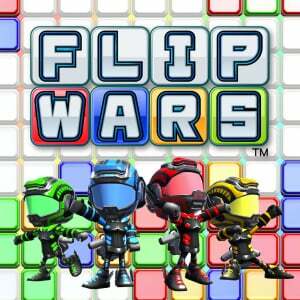 There are three battle modes for you to flip out over – Panel Battle, Knock Out Battle and Life Battle. 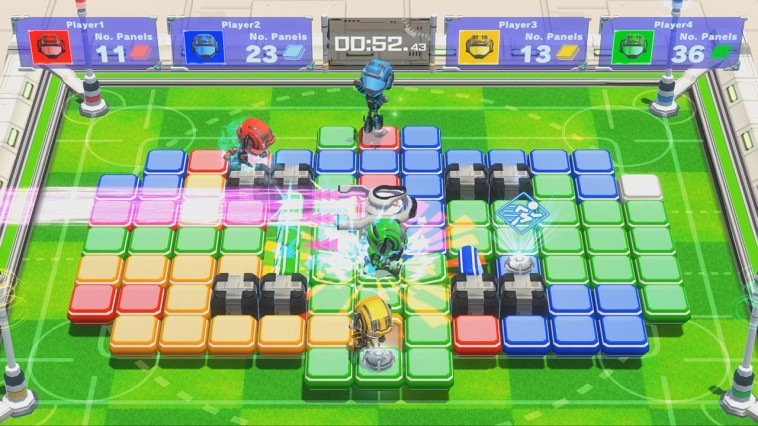 In Panel Battle, the aim of the game is to change as many panels to your colour as possible. 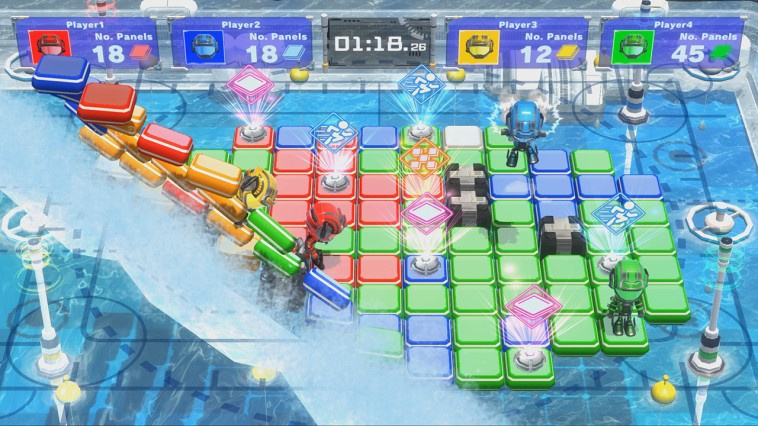 The player with the most panels of their colour at the end of the round wins. You’ll be surprised how quickly a match can be flipped on its head! 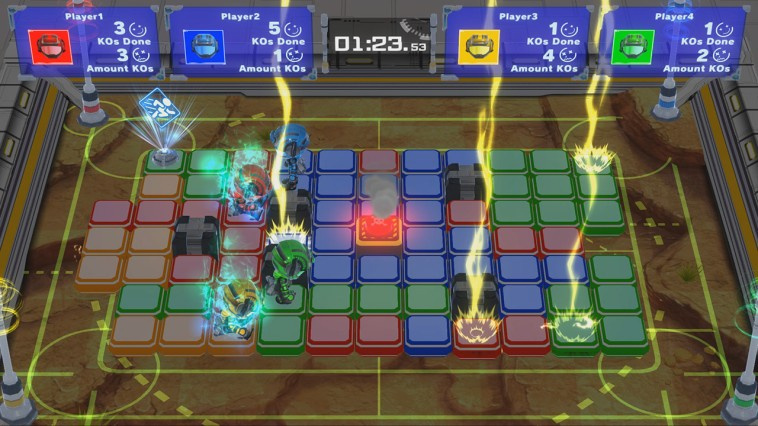 Knock Out Battle is all about sending your rivals flying off the stage while trying to ensure you’re not sent packing in return. Whoever has the most knock outs and has been knocked out the least will emerge victorious. 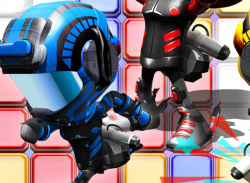 It’s a fight to the finish in Life Battle, where each player only has three lives. 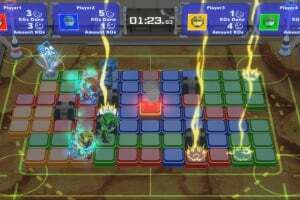 If you get Knocked Out three times you’ll be eliminated, and if the game ends in a tie, the player with the most panels wins! 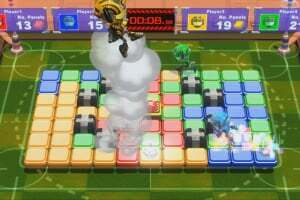 You can also take the fight online*, play against computer controlled opponents and engage in local multiplayer battles for up to four players**. 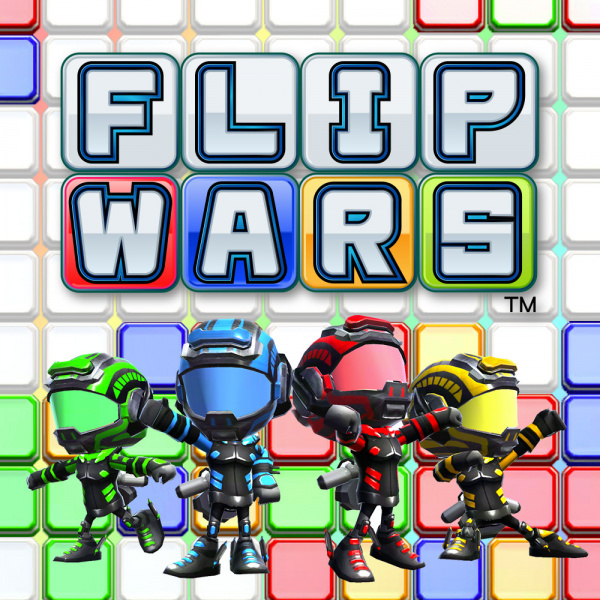 Knock your rivals off the stage and claim panels of your colour to win the day in Flip Wars, available exclusively from Nintendo eShop on Nintendo Switch. Updates are planned in the future that will add more features to this title. Check back later for more information! It still pains me to this day on why this atrocity of a party game exists. Even at the bargain price of $10, I still felt ripped off.